files that any word processor can read. Click below to download the sign. 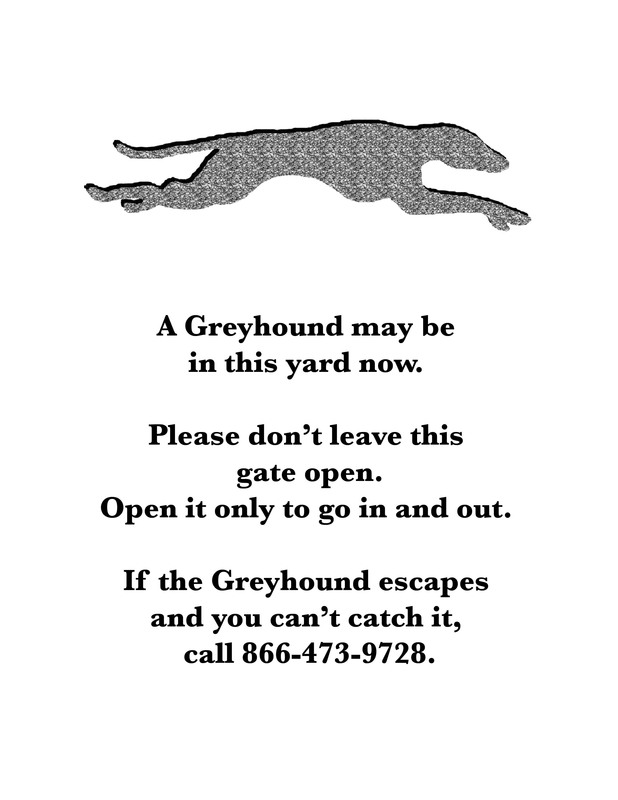 Lost Greyhound flyers (four to a page). 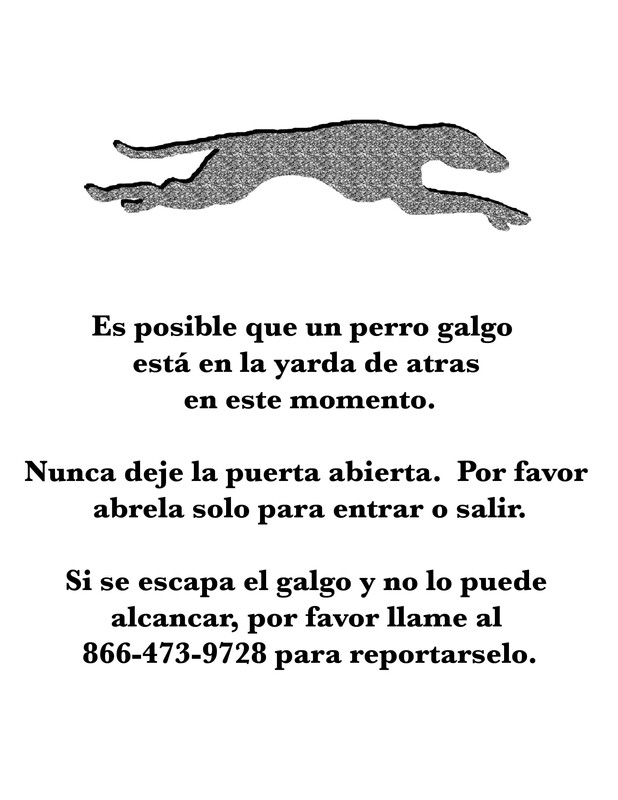 Click on the links below to download signs that you can post, in English and in Spanish, to warn visitors to close the gate behind them because there may be a greyhound in the yard.